If you're a snow lover, the past two months have not been kind. It's rare to go without snow to start the year. GREENSBORO, N.C. — Where's all the snow? You might be thinking that if you're a NC snow lover. 2019 has yet to have any measurable snow, and that's more uncommon than you might think. Of course, we started the winter months with a bang back in December. That early-season snowstorm brought 12.8" of snow to Greensboro, and a widespread 10 to 15 inches to most of the Triad area. We haven't had a similar winter event, except for ice storms, since December 9th. Still, this year will go down as an "above average" snow season. Our average is around 8" per winter. 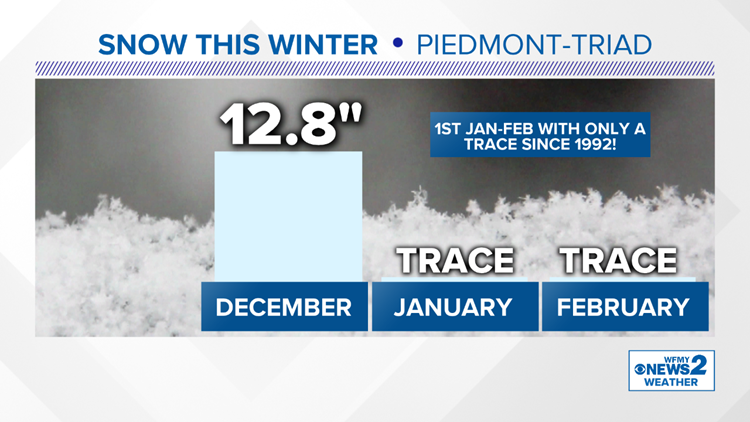 On average, January and February are the two snowiest months of the year in the Piedmont. 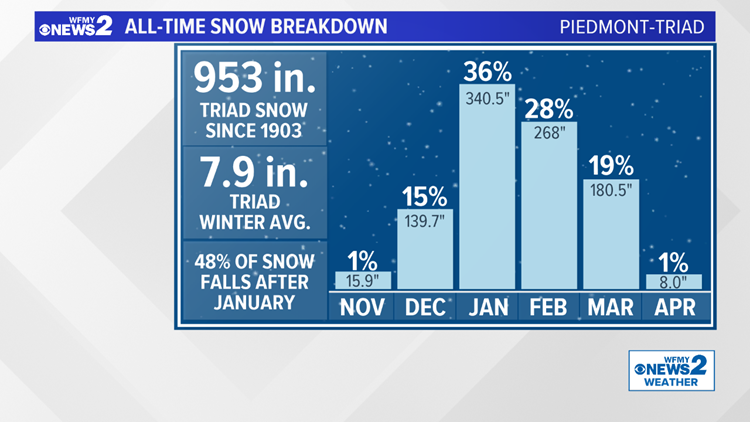 About 36% of our all-time snow has fallen in January, with 28% falling in February. March is next on the list at 19%, followed by December at 15%.